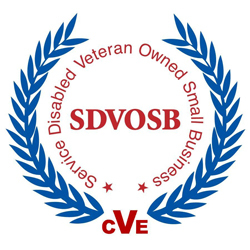 Pharma Navigators, LLC, was officially certified by the Veterans Affairs (VA) Center for Verification and Evaluation (CVE) as a Service-Disabled Veteran-Owned Small Business (SDVOSB) on July 22, 2014. The certification can be verified through the veteran business database on the Vendor Information Pages (VIP) at https://www.vip.vetbiz.gov/. A right click on the "Pharma Navigators" company name navigates to pages with some details about the company. More than just a Federal program: Certification for the SDVOSB program evolved into a comprehensive inspection of the procedures and processes of the applying company, to the point of requiring copies of the last 20 cashed corporate checks. So besides being a mechanism for determining set aside eligibility, a SDVOSB certification is an indication of the health and corporate professionalism of the certified company. Program Details: The Veterans Benefit Act of 2003 and FAR Subpart 19.14 established the SDVOSB Procurement Program. Federal Contracting Officers can set aside procurements for SDVOSBs and under certain conditions can award sole source contracts. In addition, many private corporations are required to provide vending priority to various groups, of which veterans, particularly disabled veterans, qualify.